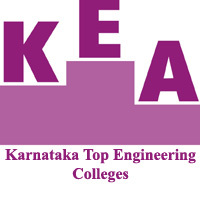 Karnataka Top Engineering Colleges List is available. So, the candidates who have qualified for the exam can check the best engineering colleges list in Karnataka state. We have provided the top college list in Karnataka accepting the KCET Score. So, the interested candidates go to this page and get more information regarding the kea.kar.nic.in Karnataka CET Top College List. Most of the students are qualified in the Karnataka CET 2019. The qualified candidates are wasting their precious time searching here and there for the best engineering colleges list. For the sake of those candidates, we have provided the Karnataka Top Engineering Colleges List. So, the interested candidates who want to appear for the Counselling process must check the Best engineering colleges list. Not only the college’s list but also we have given the codes of the university. With the help of the best colleges list in Karnataka, you can complete the Counselling procedure successfully. You can also check the KCET 2019 Counselling Process here. The first step of the Counselling process is certificate verification. After completion of the audit process, the applicants have to enter the web options. To attend the Web Counselling, the candidates must know the Karnataka Top Engineering Colleges. If they have an idea about the best colleges list then can choose some colleges according to their interest. Selecting the best college is important along with the good rank. The candidates who want to continue their higher studies in Karnataka state must choose the top colleges. So, we suggest the candidates check the Karnataka Top Engineering Colleges list before entering the web options. You should remember that the KEA KAR Officials will assign a seat to the candidates based on the web option priority. So, you must be careful while choosing the colleges. So, the interested candidates can visit our site regularly for the latest updates.